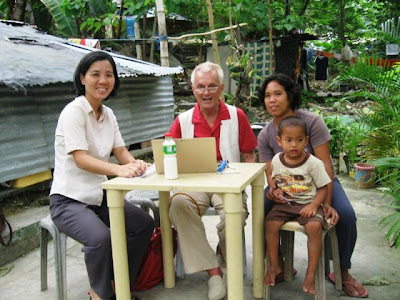 German homeopath Dr. Norbert Enders together with VPHCS staff conducted a homeopathic clinic in Sitio St. Mary Grace in Talamban last Feb. 21 and April 1, and in Sitio Lawis, Barangay Pasil last March 9, 23 and 31 as part of his mission in the Philippines. 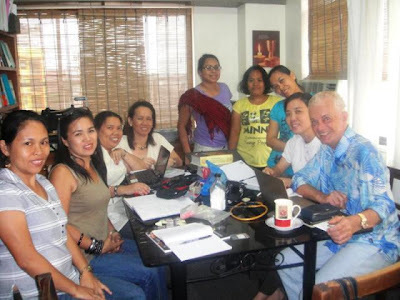 VPHCS staff with Dr. Enders, February 15, 2011. Dr. Enders and Dr. Posadas hold homeopathy clinic in St. Mary Grace, Talamban, Cebu City. Feb. 21, 2011. Patients wait for check-up by Dr. Enders. Dr. Enders’ mission is sponsored by the French organization Solidarite Homeopathie in France where he is currently based. Dr. Enders has been teaching the VPHCS staff the practice of homeopathy and treating numerous patients with homeopathy since 2008. His last visit was in October 2010. With the knowledge and skills that he provided and the homeopathic remedies of his organization, the VPHCS staff has been rendering homeopathic services for common illnesses to VPHCS beneficiaries from its partner non-government and community-based people’s organizations. Dr. Enders has been treating patients together with VPHCS staff as a way of their actual practicum on homeopathy. The staff were thus able to further understand how each patient is being examined and treated, noting his constitutional type, physical, intellectual and emotional traits, symptoms, personality and habits and the way the weather, seasons, times of day and his past experiences affect him. Dr. Enders check up a child with neck mass. French homeopath Liliane Delacour from Brazzaville, Republic of the Congo and Veronica Ellis from South Africa who are both Dr. Enders’ colleagues also visited the VPHCS this March and joined the homeopathic clinic in Pasil last March 9. 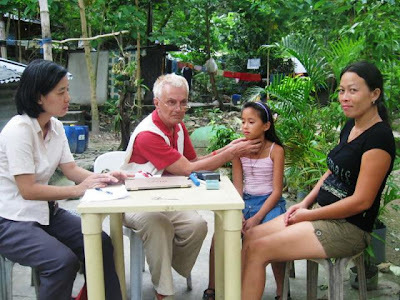 Dr.Enders treats a patient with rheumatic heart disease. 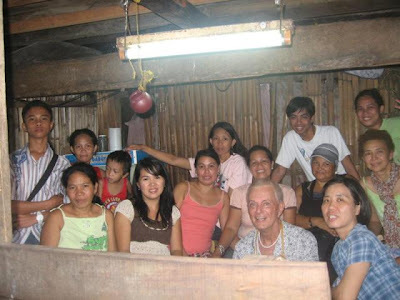 Dr. Enders with VPHCS staff and residents in Pasil. Homeopathy is a non-toxic system of medicine used to treat illness and relieve discomfort of a wide variety of health conditions. It is practiced by health care providers including medical physicians, chiropractors, homeopathic physicians, midwives and many others throughout the world. Founded by German doctor Samuel Hahnemann in the 1790s, homeopathy is the art and the science of healing the sick by using substances capable of causing the same symptoms, syndromes and conditions when administered to healthy people, treating like with like (Similia similibus curentur), aiming to stimulate self-healing processes. It is a form of complementary and alternative medicine (CAM). Homeopathy uses over 2,000 different remedies which are chosen to suit a patient's characteristics, as well as to treat his symptoms. Information on such remedies has been collected for nearly 200 years. Clinical cases and recent scientific trials using these remedies have been documented. Visayas Primary Health Care Services, Inc.
is a non-stock, non-profit, non-government organization established in 1985 which aims to promote primary health care programs in the Visayas regions. 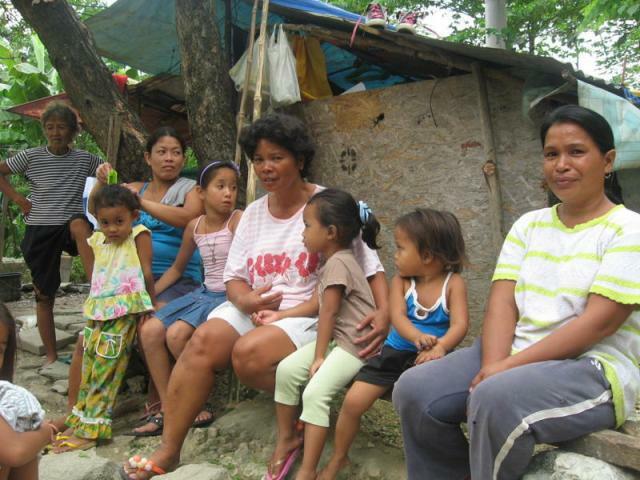 The VPHCS assists people’s organizations in the marginalized sectors of society – urban poor dwellers, farmers, fisherfolks, women and children -- in building and strengthening community-based health programs (CBHPs). It was registered with the Securities and Exchange Commission in October 1989 with SEC Reg. No. CEO 2662.